By Subscribing and Joining our Community you will receive our latest posts and newsletters. routine? Step out and do it, we did! Where are we Travelling Now? We are currently travelling in our Motorhome through the UK.Loving the views, there is so much to see. 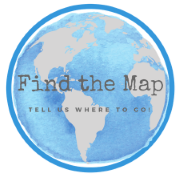 Find the Map and Go! © 2018-2019 Find the Map All Rights Reserved. Unauthorized use of this material without permission from this blog’s author/ owner is strictly prohibited. Excerpts, photographs and links may only be used, provided that credit is given to Cameron & Rosina Dimech or Find the Map with direction to the original content. Hi, thanks for stopping by. Its great to meet like minded people who love travel as much as we do. Join our Community by Subscribing to our updates. Get Your FREE Monthly budget infographic for Families and Guide to buying a Motorhome in Europe as a Non-Resident.